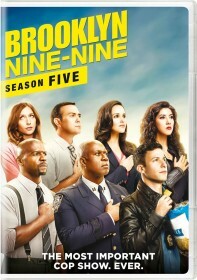 You are viewing a list of CJ Stuart's 1 appearance on Brooklyn Nine-Nine. When Jake injures himself in pursuit of a suspect, Terry forces him to take time off work - but Jake can't leave the case alone. Meanwhile, Captain Holt and Rosa struggle to keep things impersonal when they have dinner with Kevin and Marcus. Amy tries to prove to Gina that she can be relaxed and chilled when they're invited for dinner at Holt's house.